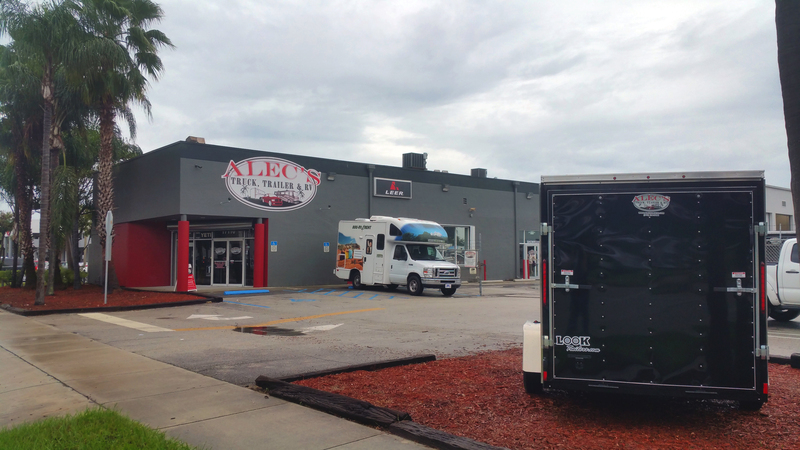 Why choose Alec’s Truck, Trailer & RV? BRICK Vs. “CLICK”: While shopping online is a convenience, there are some things that you really need to see, touch, feel, choose finishes and materials, test its functionality, as well as have a great understanding of the product with the assistance of a knowledgeable professional who will make SURE you are getting exactly what you want. That won’t happen online, but it is a reality when you come to the store. What if you accidentally click the wrong button? What if you thought you had a short bed, but you actually have an extra short bed? Are you sure the hitch you’re purchasing is the correct class to fit your needs? Did the online site tell you which wiring you will need to go with your hitch? Did it mention the necessary wiring at all? Why fight with an online retailer when you don’t have to? Most parts are NON-RETURNABLE when purchased online if you try to install them. But how do you know it’s wrong unless you try to install it on your vehicle? Once you open the box, it’s yours. What if brackets or hardware are missing? Will you be upset if the steps you bought online are actually chrome and not stainless steel? Our professionals know that chrome will rust, but stainless steel will not. What happens when something is described as “easy to install” --- but isn’t so easy to install? I have a jack in my garage, but I don’t have a lift. It’s not a good deal if you have to purchase something twice. We’ll make sure your purchase is correct the first time. We also have professional installation available for you. Keep reading to see our PRICE MATCH GUARANTEE! OUR SHOWROOM: We are your one-stop shop for anything you could imagine needing or wanting for your truck, trailer or RV, all within our air-conditioned, 5000 square foot showroom full of displays. We have over 40+ truck cover display models alone so that you can “play” with them to ensure you’ve chosen the right cover to meet your needs. We carry product lines you know and trust ??? WeatherTech®, LEER®, ARE®, Aries®, Rugged®, Undercover®, Extang®, Dometic®, ProMaxx®, Raptor®, Rigid®, CURT®, Reese®, BNW®, UWS®, Blue Ox®, and many, many more. 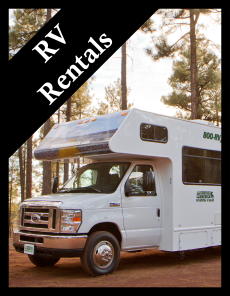 We have ample parking; including room to park your RV. For your added convenience and comfort, we have a new waiting room with fresh coffee served all day. OUR STAFF: We have experienced, knowledgeable and professional staff members in both our showroom and our shop. Our staff holds multiple accreditations, from ASE Master Certified Technicians to RVIA Master RV Technicians. You can trust in our team to take care of all of your needs. We know our stuff! Our truck aftermarket accessory installers routinely install items such as bull bars, hitches, goosenecks, bed liners, tonneau covers, fiberglass lids, camper tops, steps, toolboxes, ladder racks, luggage racks, light bars, strobe lights, E-track in trailers, etc. Our RV dream team routinely diagnoses/repairs awnings, roofs, water damage, air conditioners, leveling jacks, wiring issues, water heaters, generators, etc. Call us to schedule your free roof inspection today! OUR COMMITMENT TO YOU: As an authorized retailer, almost everything that we carry comes with a manufacturer’s warranty. Once every blue moon, an item stops functioning properly during that manufacturer’s warranty period. No worries; you are not alone! We will help you come to a resolution with the manufacturer. And we can do the warranty repair here! Buying online can be tricky. Some manufacturers don’t honor their product warranty if you purchase below MAP pricing or if you did not purchase the item with an authorized retailer. OUR WARRANTIES: Your business is a big deal to us! We appreciate you! We proudly stand behind the quality installation of your item(s) by our skilled technicians. For extra peace of mind, we offer a 1-year labor warranty on truck aftermarket accessories included in your installation at NO EXTRA CHARGE. We offer a 90-day labor warranty on all RV installations and repairs. 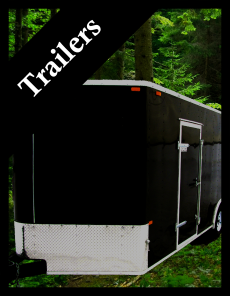 Every enclosed cargo/utility trailer we sell also comes with a nationwide warranty. OUR PAYMENT OPTIONS: We accept cash, checks, all major credit cards, and even offer multiple EASY financing options! Your dream purchase can be your reality TODAY. YOU DESERVE IT! 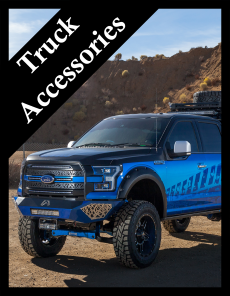 Are you ready to outfit your truck or SUV? How about 0% interest for 6 months? We can do that! How about 3 Months same as cash with no credit check? Are you buying a trailer and want fixed payments for 24/36/48/60 months? We can do that, too! RV OWNERS --- We haven’t forgotten about you! We accept all major warranties, extended warranties, insurance claims, and self-pay customers. 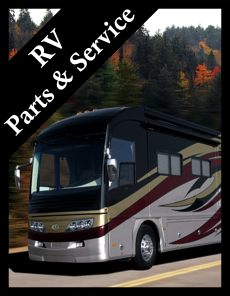 Most of our financing options are available for RV parts and service as well! The bitterness of poor quality is remembered long after the sweetness of low price is forgotten. ?